Well, I have been in contact with Noelle from Nail Art SG. This is a Singapore based store that sells a variety of products. They have Korean nail polishes (cremes, glitters etc) as well as nail art accessories such as water decals, nail wraps etc! If you are interested to have a look as to what they offer, kindly visit her shop here. Well, I have received a bunch of items from a Nail Art SG and I am here today, to talk on the first two creme polishes if have done up under the line, Vidanail! Firstly, it is Vidanail's Blue Marine (VP18). 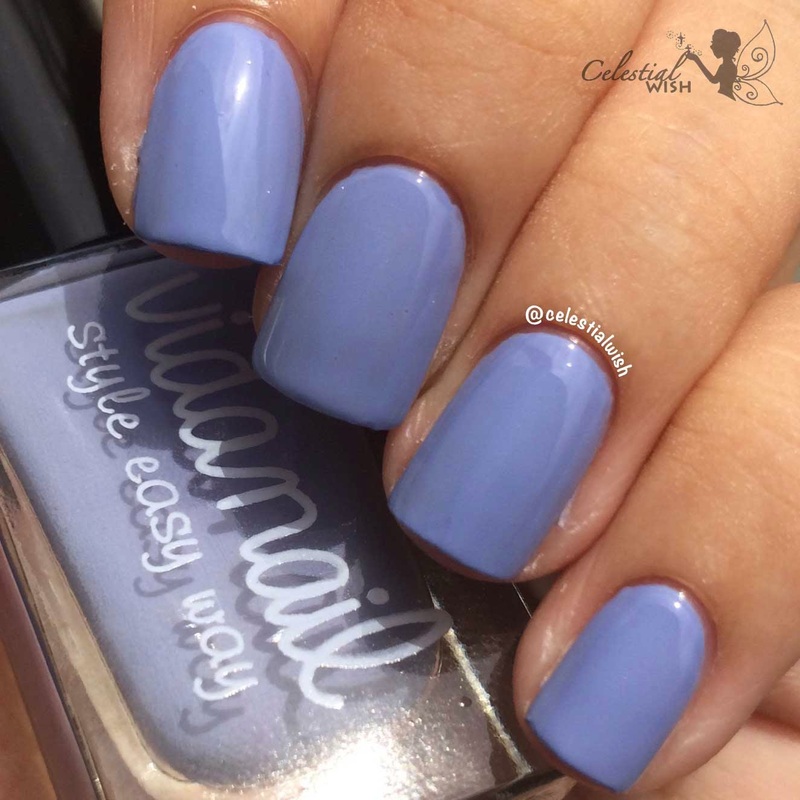 This is a light blurple creme polish. Although the name says it's Blue Marine, which would expect you to be thinking, blue polish, however it is definitely a mix of blue and purple! Under the sun, it is really more tilted to it being a purple polish though! This is two coats of Blue Marine with one coat of Basecoat (Duri Rejuvocate) and one coat of Topcoat (Poshe Fast Drying Topcoat). The polish is fairly opaque, however two coats would give you the most ideal results! Next, we have Creamy Grape (VP36). 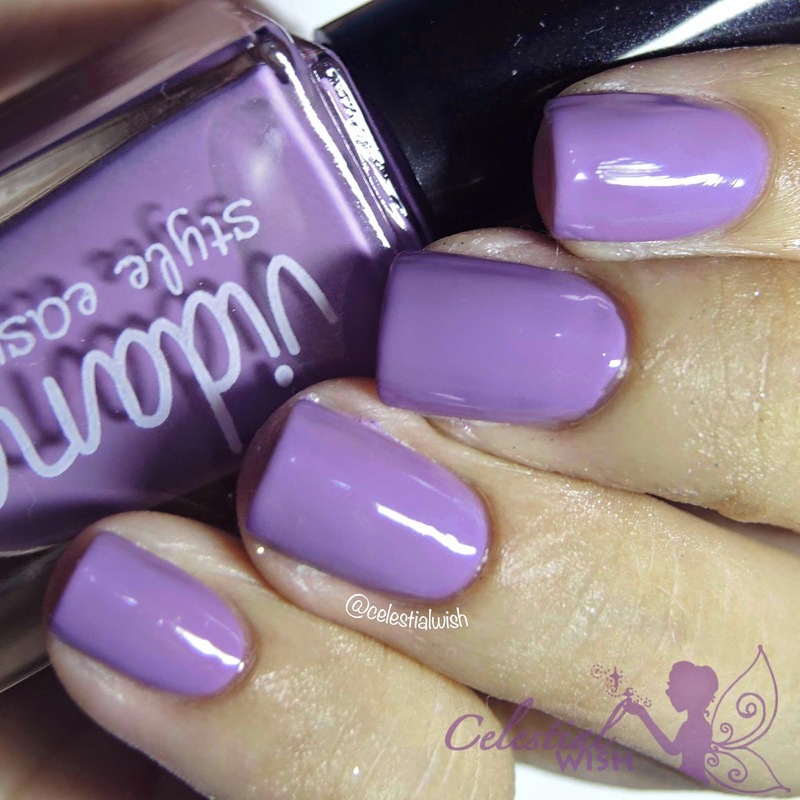 As from the name, it is a creamy purple polish! Specifically, it is more like a light amethyst polish! It is really a pretty color to own. I am sure you would love it on your nails! Like Blue Marine, this is two coats of Creamy Grape with one coat of Basecoat (Duri Rejuvocate) and one coat of Topcoat (Poshe Fast Drying Topcoat). Both polish has a really amazing formula! It glides on very smoothly! It is neither too thick nor thin. Hence, you won't have the troubles of needing to put multiple layers or having to thin the polish down. Well, I have to say, I absolutely love the brush! As you can tell, it has a flat wide brush making application really easy to apply! 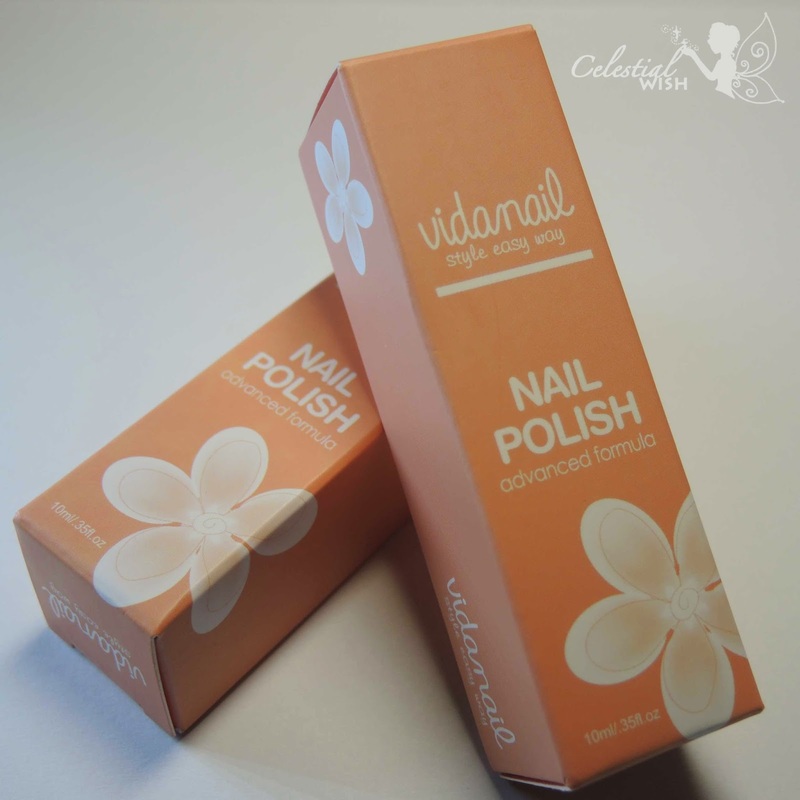 You would be able to find Vidanail's polish ranges under the Eco Polish section of Nail Art SG. They cost about $4.95 SGD for a 10ml bottle. Nail Art SG also does international shipping! You would simply need to email your orders to nailartsg2013@gmail.com ! Nail Art SG is currently running a September 2014 Promotion! You will get 30% off all our Nail Stickers Collection. You would simply need to enter discount code: "Sept Promo" when checking out from your nail stickers purchases. Valid till 30th Sept 2014, while Stocks Lasts. Do grab this opportunity to stock up on some quicky and easy nail stickers/wrap of your choice! It is great to use on days you are in a rush and have a important function to attend to! So simple and easy to use! Reviews of the nail sticker/wrap are coming soon! So do watch out for them! I hope that you would give your support to Nail Art SG! Do follow them on their sites Instagram, Facebook to get the latest updates of their product! You would definitely not want to miss out on their products!